The term ‘Green’ gets thrown about a lot these days, but unfortunately it is too often only backed up by a lot of hot air. However, hot air does come in handy when it comes to certain kitchen appliances, in this case, dishwashers. 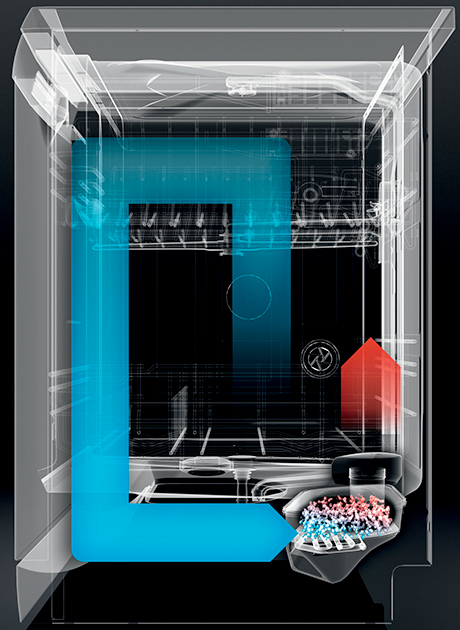 Siemens has been developing new green dishwasher technology using special aluminosilicate minerals called zeolites. The idea is that the zeolites use their moisture-hungry properties to trap water and later release it as heat during the drying cycle. By including about 2.5-pounds of the material in a special compartment in the base of the dishwasher, wash time and water usage are reduced. The additional heat is produced by zeolites — silicate minerals with a very large surface area and hollow inner pores. Zeolites are used to soften water, for example, or in heat accumulator systems. For drying dishes, Siemens makes use of a special property of the minerals: They can absorb water and become hot in the process. Conversely, they release the water they stored when they were heated. During the drying cycle, the warm, moist air is channeled into a container under the dishwasher interior space, where there are 1.15 kilograms of zeolites. The mineral absorbs the moisture and releases hot, dry air, making the drying cycle much faster. In the next washing cycle the minerals are regenerated when the moisture is removed from them as the dishwasher is heated up. 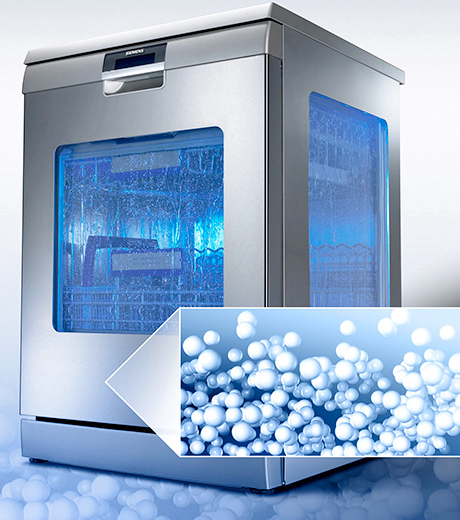 Currently the zeolitic drying system is only available in high-end speedMatic dishwashers, but if successful, expect to see the feature trickle down through the product line. The tech won an “Award for Climate Protection and the Environment in the category for product and service innovations in the field of climate protection”, which may in itself sound like a lot of hot air, but a real-world result that actually saves energy is certainly more than just hot puffery. Zeolitic drying systems that a) keep me away from the sink and b) are eco friendly!